A severe toothache is compared by many, to one of the worst forms of torture imaginable. You’ll never know when one is coming and it’s there not a true remedy for it. It’s hard to think that something that can be so devastating to your day derives from something so simple and treatable–tooth decay. Tooth decay isn’t usually painful in the early stages. Small cavities normally get left unnoticed, but once decay eats through the outer enamel and makes it way to the nerve of a tooth, you will not be able to escape the pain. The bacteria, now burrowed inside your tooth and sets up a home, and starts producing gas. In turn, this gas starts building in pressure, which cause swelling, pain and a trip to the dentists for even the most phobic of dentists. 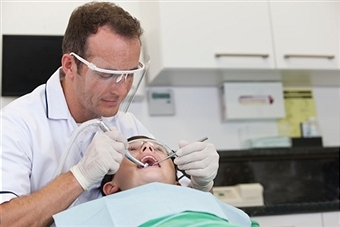 If you’re getting regular toothaches your best option is usually a root canal. Antibiotics will be prescribed to get kick the bacteria out of its new home in your tooth. Your dentist will then replace the nerve with something your body won’t reject, and in some case a crown can be placed on the tooth to prevent any bacteria settling down again. In the worst cases, your tooth may have to be removed if the infection has spread too far. Preventative care is extremely important. Brushing twice a day and flossing help keep those nasty visitors at bay, but this isn’t enough, you need to visit your dentist regularly so he or she can make sure that what you’re doing is working.